Make sure to stay warm this winter in your deer stand, workshop or around the house with Mr. Heater! 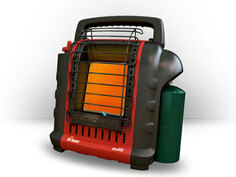 J&N Feed and Seed carries a great selection of Mr. Heater heaters, including the new Mr. Heater portable “buddy” heater. The Mr Heater “buddy” heater is a light weight, easy to carry, propane heater that is great for on the go heating. This entry was posted on Monday, November 24th, 2014 at 10:41 am	and is filed under News & Updates. You can follow any responses to this entry through the RSS 2.0 feed. Both comments and pings are currently closed.